A recent preview of The Dark Below has clarified the process for reaching Light Level 32 in the first expansion for Destiny. 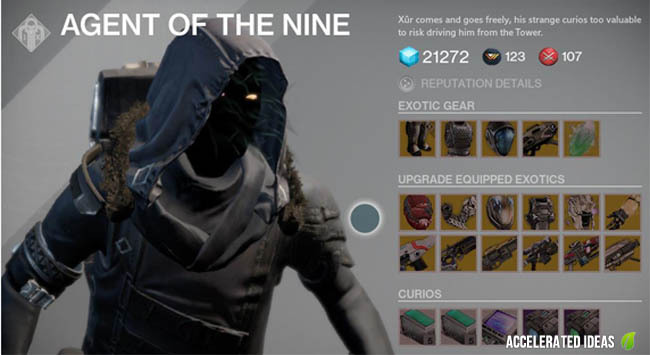 Our favourite trader, Xur, plays a big part in re-rolling your Exotic gear to reach the higher levels. Starting with the release of The Dark Below, Xur offers players the chance to upgrade their Exotic armour to a higher defence rating. This requires an Exotic Shard (which can be purchased for 7 Strange Coins or dismantling Exotic armour), 7000 Glimmer and of course the original version of the Exotic. The bad news is that Xur only offers certain upgrades each week which consist of 6 weapons and 2 armour pieces per class. You'll need to wait for a particular armour piece to become available before you can re-roll it. Upon upgrade, you'll lose ALL your upgrade progress on that armour piece, effectively setting it back to zero. However, the base rating for the armour will increase enabling you can start upgrading the Exotic piece to reach a new higher light stat. You will not loose any light during the upgrade progress and your level stays the same. If you dread the thought of resetting all your upgrade perks then you'll be pleased to know that the XP required to upgrade the new item is less than before. Anyone with a duplicate Exotic may want to keep hold of those so you can slowly upgrade the duplicate without loosing your upgrade perks by re-rolling your original. Existing Legendary gear cannot be upgraded in the same way as Exotic armour i.e. there's no upgrade option available from Xur. Instead, players have to acquire the Dark Below legendary gear either through the Crota's End Raid or purchasing it from a vendor. Existing Legendary gear at the Tower is now replaced with more powerful Dark Below gear, but the requirements for purchasing it have changed slightly. Similar to the Vault of Glass armour, the Legendary gear purchased through a Tower vendor does NOT have the same maximum light stat as the Crota's End Raid gear. You will need a Rank Commendation to be able to purchase the more powerful Legendary gear at the Tower. The Raid offers a unique set of Legendary Armour, which players earn as rewards for completing sections of the Raid. The Raid gear has the highest base stats and you'll need these for reaching the highest light level. Players need to use Radiant Shards to upgrade Crota's End raid gear rather than Ascendant Shards which only apply to the less powerful Legendries. Radiant materials such as Radiant Shards can be exchanged through Eris, the new Dark Below vendor. Thankfully, you can swap Radiant Shards for Radiant Energy making it easier to stockpile for your particular upgrade path. Reaching Light Level 31 is possible in a variety of ways, but the "forever 31's" follow a similar fate as the "forever 29's". What I mean by this is that you can reach Light Level 31 without any of the new Raid gear and just maxed out Vendor Legendries and one Exotic. To reach Light Level 31 you need to buy several of the new Dark Below Legendary armour pieces from the Tower vendors. This is only possible once you receive the new "Rank Commendation", which opens new purchasing options at either the Crucible or Vanguard mentors. Completing all of these will get you to Light Level 31. A slight alternative to this would be picking up one of the new Dark Below Exotics which already have a higher base stat, or finding a Raid piece to compliment your loadout. Note: That may change if Iron Banner 3 makes an appearance, offering players an alternative to Raid gear. If you're reached Level 30 before, you'll be familiar with the process of acquiring each of the Raid armour pieces and maxing them out with planetary materials, Glimmer and upgrade materials. As mentioned above, Raid armour is a random reward for completing sections of the new Raid. You can also find similar rewards in any of the chests throughout the Raid. A weekly reset on a Tuesday means that players can replay the Raid once a week in the hope of acquiring some of the missing Raid gear. 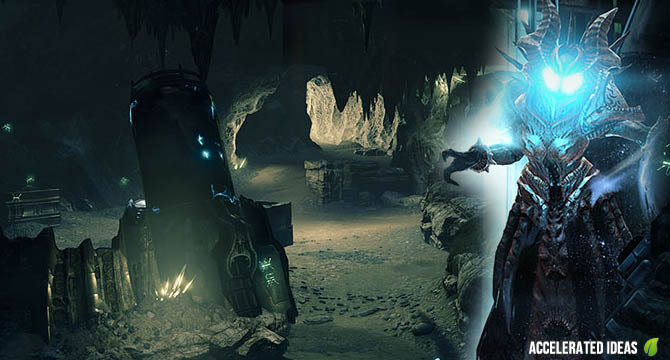 The big difference between Vault of Glass and Crota's End is that the latter is more forgiving. Rather than putting you at the mercy of the RNG gods every time, you'll have an improved chance of winning that elusive armour piece the more times you try. Less frustrating and more rewarding for repeat attempts.